What Is the Alphanumeric Filing System? Terminal digit filing is a filing system that works by using the last two numbers on files to organize them. It then follows the numbers in reverse order to pinpoint the needed file. As a result, this numerical system of filing is efficient for many large-scale companies. Terminal digit filing has four main advantages that distinguish it from other filing systems. One of the biggest advantages of terminal digit filing is that it's relatively simple to manage. Since files are separated numerically, it's easy for personnel to track down a file in a short period of time. All an individual has to do is track numbers in reverse order until the file is found. 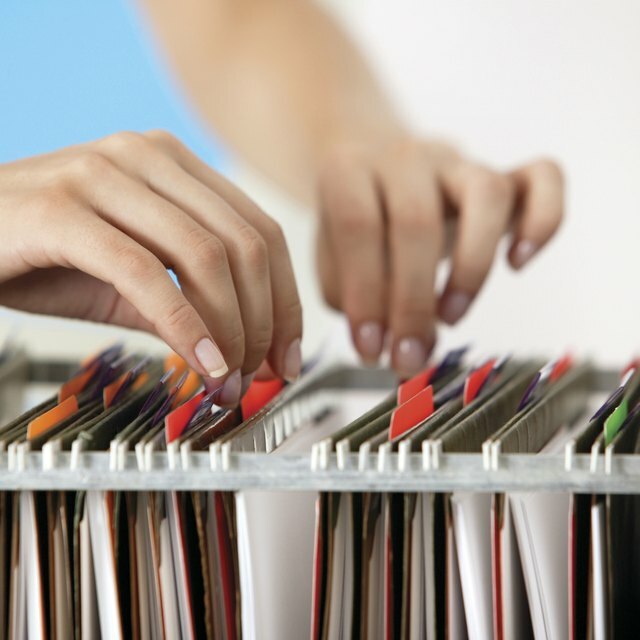 If a company needs to store over 10,000 files, using a terminal digit filing system is ideal. The design of this filing system is perfect for managing thousands of files and maintaining organization. While other systems, like alphabetic or color-coded filing, can only handle a small number of files, terminal digit filing can handle substantially more. As a result, this form of filing is often the choice of large hospitals. An added benefit is that it also prevents crowding around the filing system. Since terminal-digit filing keeps files widely distributed by dividing them into 100 sections, it creates more space and helps prevent multiple personnel from crowding around a concentrated area. In turn, time is saved and a company's work flow can run more smoothly than it would with an alternative filing system, such as an alphabetic one. What Are the Various Filing Classification Systems? What Is Computer File Management? Another advantage is that keeping track of individuals via Social Security numbers is ideal for terminal digit filing. Working backward from the final unit to the secondary unit to the primary unit makes it easy to find an individual's file. This makes terminal digit filing perfect for government agencies. Nick Mann has been a writer since 2005, focusing on home-and-garden topics. He has a bachelor's degree in psychology from the University of North Carolina at Asheville.